In part 1 we discussed the Cost of IoT devices, and how it will be driven down in the near future thanks to more highly integrated technology solutions and economies of scale. Part 2 discussed factors that device manufacturers need to consider to ensure ease of use for lay end users, and part 3 addressed the market factors that will result in fewer wireless standards and application-layer protocols, which in turn will help the market grow. In part 4, we turn the crosshairs to Future Proofing. Future proofing is one of the most exciting parts of the IoT – and the most concerning for many. Future proofing means that I can reach into a device that you own and update its software – without your permission or participation! What a wonderful capability – unless it is done badly. When Tesla successfully rolls out a security update or other updates to enhance functionality in its cars, the company receives glowing accolades in the media. Similarly, when Nest experienced an issue in the “wave to hush” feature in its smoke detectors and turned off that feature until it was fixed, it was written up as a point of success for the IoT. Other articles and news reports have focused on the failures of other IoT devices and services. For example, when a software update resulted in Wink connected home hubs failing to connect properly, customers had to ship their hubs back to Wink for software updates. 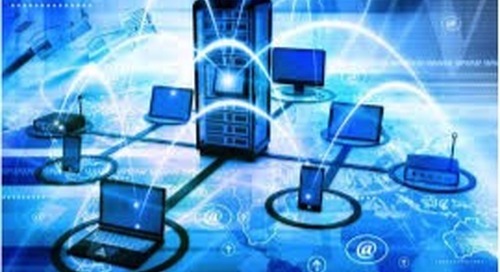 In other instances, the shutdown of backend servers resulted in devices no longer working as was reported for Revolv hubs and TCP Connected Light Bulbs not working remotely. Failures like these, when a product a consumer has purchased and installed stops all or some of its functions due to remote action on a server, change dynamics. These experiences are frustrating for consumers and result in a black eye for the IoT in general. However, it is clear that consumers are getting comfortable with regular device updates. Products are no longer something that vendors sell and forget about. Now you can understand your customers’ usage habits, find and fix problems, and add new functions – all remotely. My favorite example is the Amazon Echo. My children took to the Alexa voice activation and commands instantly. Amazon sends me an e-mail every Friday with new functions Echo has learned and new capabilities for the device. Echo launched with 70 skills and now has more than 1700. With the Echo, Amazon has taken future proofing to the next level and really demonstrated it on a week-by-week basis. The Amazon Echo may be an extreme case, as most companies cannot keep up with a weekly set of updates to their devices. But it is now becoming very common for the devices in my home to be updating software to add new capabilities. My LED lighting started as connected lights with color control (and voice through the Echo). I can now get apps to synch my lights to music, trigger from actions through my Echo (such as having a timer going off), or Philips Hue lighting reflect the colors from the movie I am watching. Many of these capabilities are not available from Philips, but from third-party applications that control the lights through the released interfaces for Hue. These advanced capabilities continually being added to devices are a great way to experiment and find out what works best. Having my lights turn on when I unlock my front door at night is a useful feature, but it means my door lock and lights have to share information. However, I don’t actually trust my lights to send an unlock command to my door lock since that is likely a security risk. The context for these automatic actions is also critical. My lights turning on in my office when I walk into the room always seems like a good idea, but that’s a bad idea in my bedroom when my wife is sleeping. We have to make the systems smart enough that consumers can enter simple rules and linkages between devices based on their behavior and needs. As we can expect end user requirements to change over time, the rules also need to be easy to modify or delete when they are no longer useful. The future proofing of devices is really about designers giving themselves and the consumer flexibility for future growth. This is more than just updating software, but may also mean having sensors or other controls that may not be used in the initial product shipment but can be turned on later when needed. As more products show this capacity to grow and learn, future proofing becomes an expected behavior from consumers when they use a connected device.